We have all said something that we wish we could take back or unsay. I’m sure you’ve also had times when you knew you should have said something but didn’t. Both instances can cause pain, heartache and destruction. Does it ever surprise you that such a small thing, like your tongue, can cause so much damage? Thankfully, God offers us hope and His Word teaches us how we can be RESPONSIBLE with our words. This Week’s Finish Line: I can pay careful attention to my words! To start off our month on RESPONSIBILITY we’re learning about how we can be responsible with our words. James 3:1-12 illustrates the power of the tongue through metaphors and warnings. The tongue can be a dangerous thing but it’s something we can’t get rid of! What can we do when our tongues aren’t working correctly? In Mark 7:32-37, Jesus came across a man who’s tongue and ears didn’t work right. The deaf and mute man came to Jesus and Jesus healed him! Luke 6:45 tells us that our words come from what’s in our hearts. When we give our hearts to Jesus, He will give us new hearts that are kind and loving so kind and loving words flow out of us. On our own, our tongues have the power to destroy. But after Jesus heals our sinful hearts, our words can be used to glorify God and encourage others! 1) How does James describe the tongue? What do our words have the power to do? 2) How have you seen the power of words? Have you seen them be hurtful? When have you been encouraged by someone’s words? 3) How is Jesus able to heal our broken tongues that don’t work right? 4) Can you think of other times in the Gospels where Jesus was responsible with what He said? What happened? James gave us several example of what the tongue can be like. Can you think of any other metaphors that describe what the tongue is like? Look for illustrations of how words can be use for good (words are like an ice pack that makes a wound feel better) or for bad (words are like a needle that can pop a large balloon). You can find simple examples around your home, on the way to school or wherever you go this week. When your whole family is together for dinner this week, go around the table and have each person say something encouraging about every other person. They can say talk about character qualities they see in that person, ways they’ve seen them excel or succeed or why they’re thankful for them. Read these two stories about two kids who did not use their words wisely. One said hurtful words about another kid in class and the other lied about a situation. Ask your child what they would do if these things happened to them. Take a look at Watermark’s Conflict Field Guide and talk with your kids about how they can take responsibility when their words wound others or cause problems. Thank God for giving us His Word and the way you have been encouraged by other people’s words. Ask God for forgiveness for the times you have not been careful with you’ve said. Ask God to help you be bold when He calls you to speak the truth in difficult circumstances. Thank Him for how He changes people’s hearts and helps us be responsible with our words. Have you and your family taken the “Just One Thing” challenge? 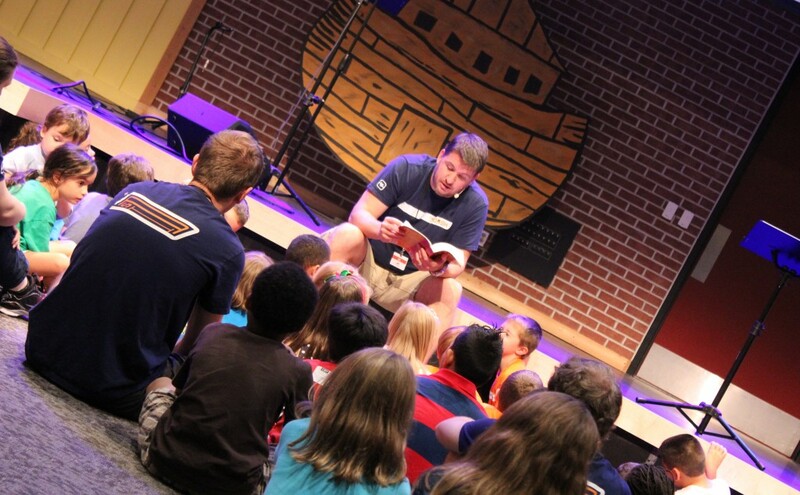 Let us know one way you have taken time this week to encourage and disciple your kids this week. Let us know ways that have been successful for you in teaching your kids responsibility. The post Being Responsible with Our Words Starts in Our Hearts appeared first on Watermark Community Church Blog.